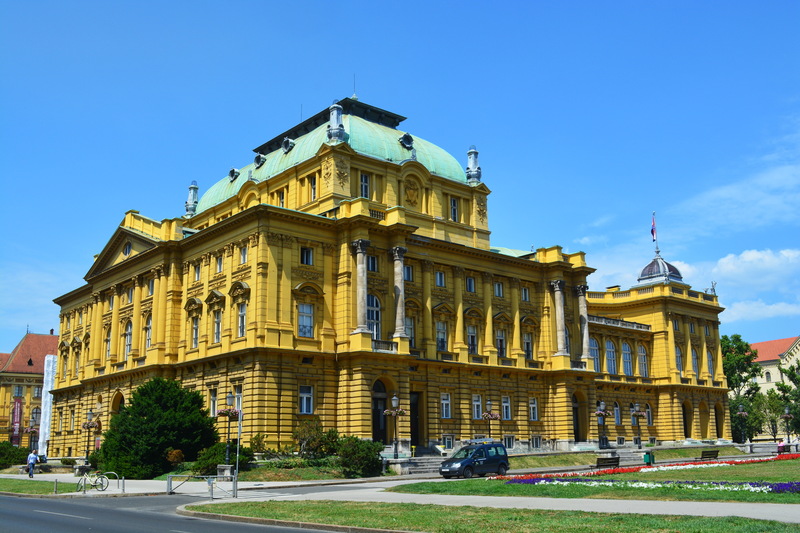 Having experienced a revolution in its content and outlook over the last half-decade, the Croatian National Theatre (HNK) in Zagreb no longer stands as merely an impressive monument in the capital city. Rather, it does its best to welcome people of all ages, tastes and nationalities with a varied and exciting programme that veers far from the traditional. 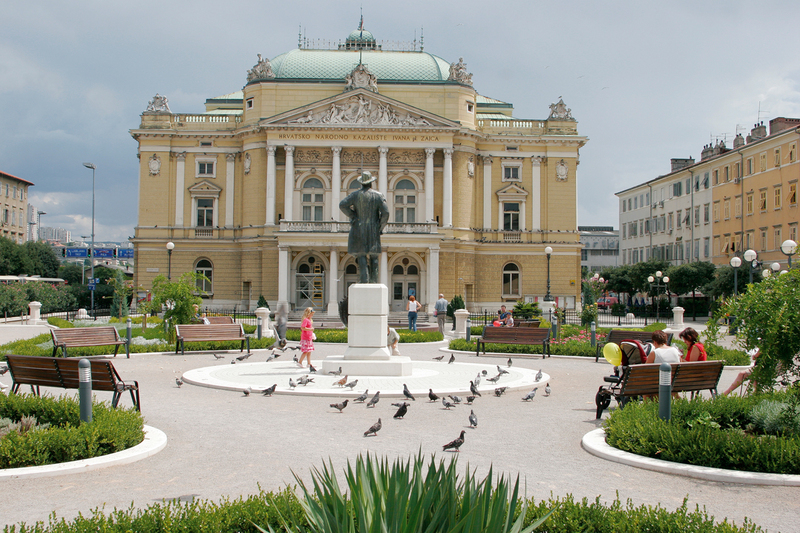 With tickets prices even for the most high profile of productions available from 90 kuna, HNK Zagreb stands as one of the most accessible of its kind in any European capital. This spring/summer season holds many great Croatian language dramas, but of greater interest to international (non-Croatian speaking) audiences will be the operas and ballets on offer, featuring internationally renowned guests like French choreographer Angelin Preljoçaj. 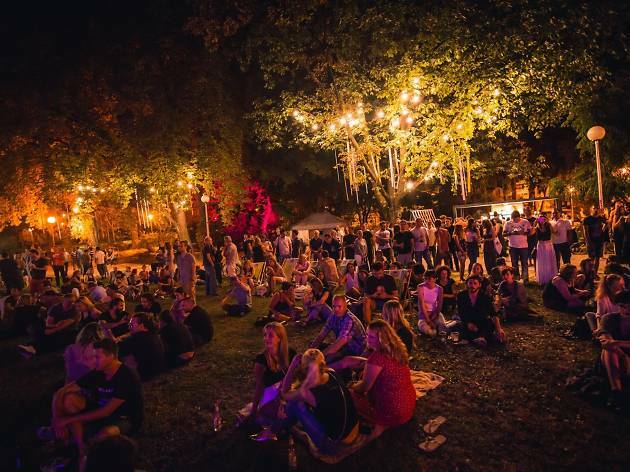 Alongside special one-offs, such as appearances by Slovenian philosopher Slavoj Žižek and Romanian musician Marius Mihalache, we've collated eight great reasons to visit HNK Zagreb this spring/summer season. 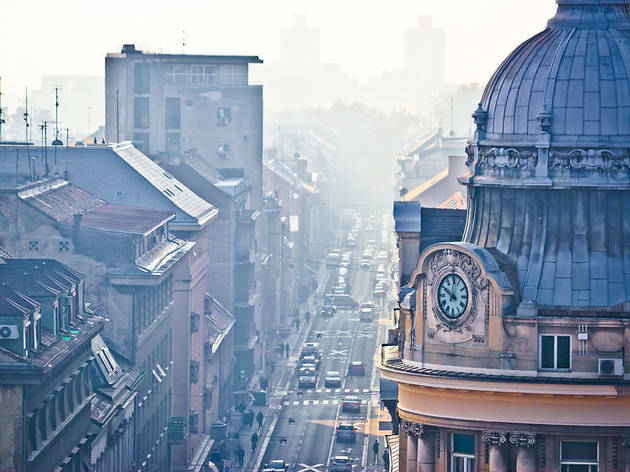 Špica is a traditional pastime in Zagreb, the act of putting your best clothes on, meeting your equally spruced-up friends and joining them for an extended coffee break, usually outdoors on a terrace, in the fancy bars and cafes of the city's downtown area. 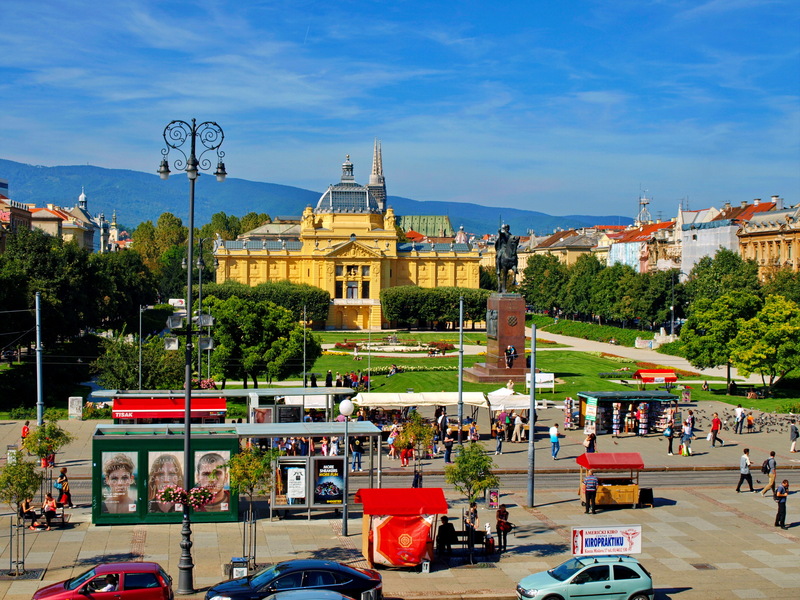 At the heart of the Zagreb's centre, just few meters away from Jelačić square, Bogovićeva and Cvjetni trg, (flower square), are known alongside nearby streets as 'Zagrebačka Špica'. 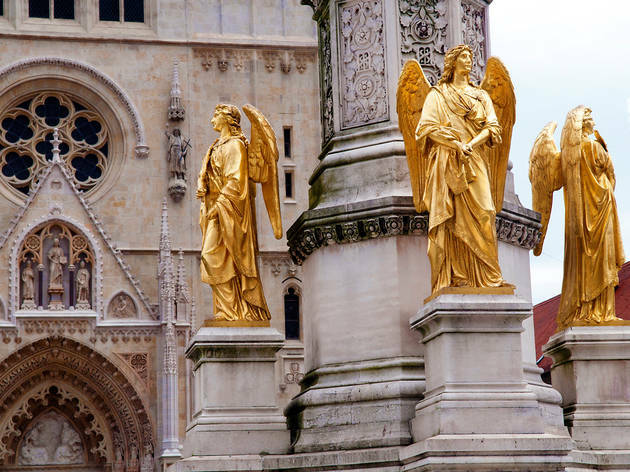 A place full of life and events, this area is also noted for having several intriguing sculptures, monuments and landmarks, many of which hold interesting back stories. Time Out brings you the story of five such examples.. 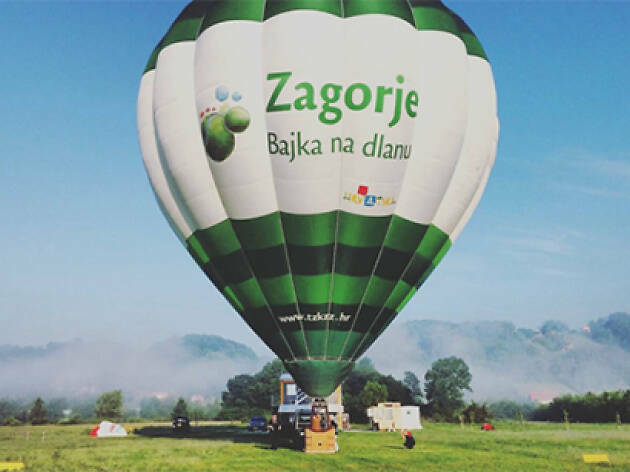 When it comes to things to do in Croatia, the varied landscapes of the country host an impressive range of activities; from horse-riding in Istria, to sipping wine Kutjevo, and diving into dramatic caves in Biševo, Croatia really does have it all. 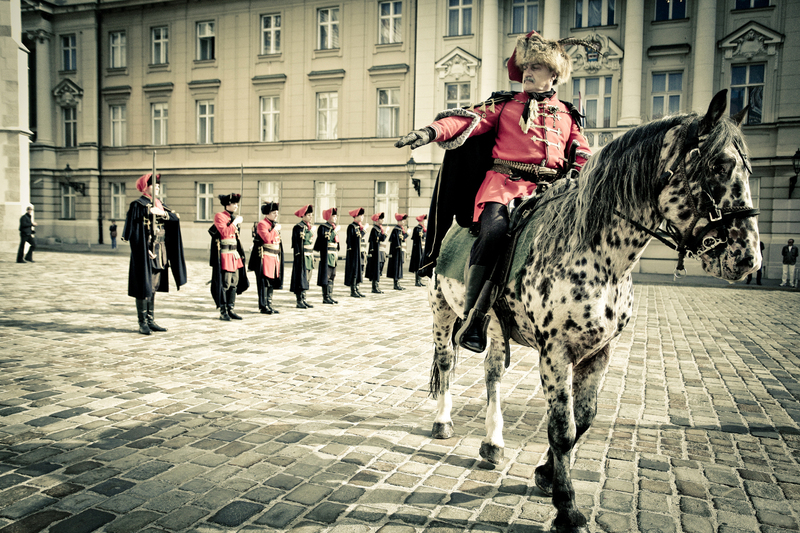 Time Out's local experts sort through the best things to do in Croatia. 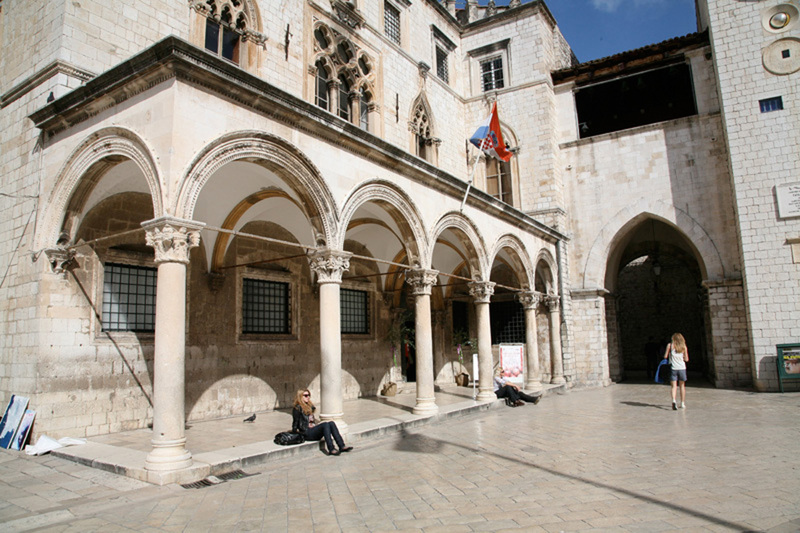 Dubrovnik is a one-town tourist industry on its own, with endless things to do all year round. As stunning as the clear blue sea around it, the former centre of the independent Republic of Ragusa invites superlatives and attracts the lion's share of Croatia's visitors. 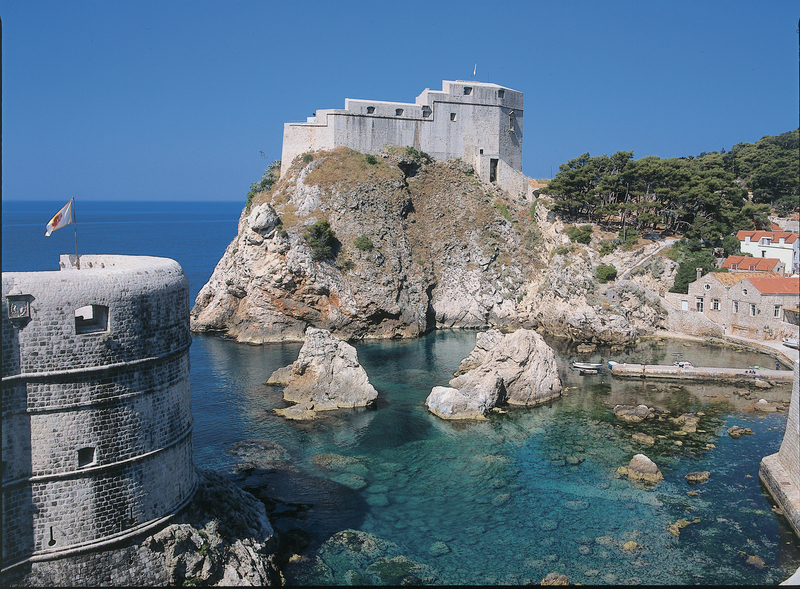 Read on for our insider's guide to the best things to do in Dubrovnik. There are plenty of things to do in Split now that – thankfully – its days as a departure point to the nearby islands are gone. Brimming with recently opened high-quality bistros, antiquities aplenty and the best bar scene on the Adriatic coast, Croatia’s main ferry port is also the country’s most promising all-round city-break destination. 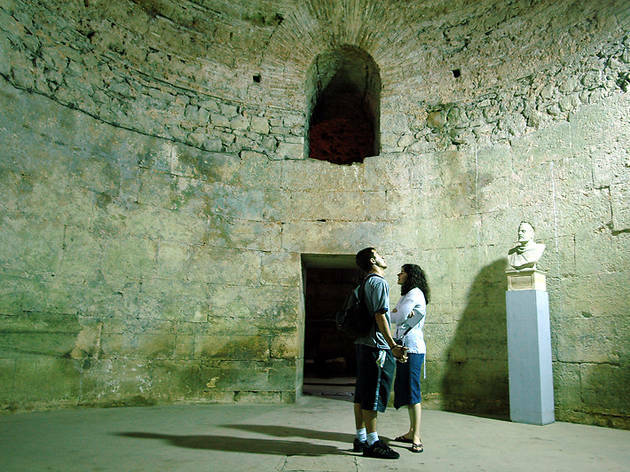 Our local experts pick the best things to do in Split. 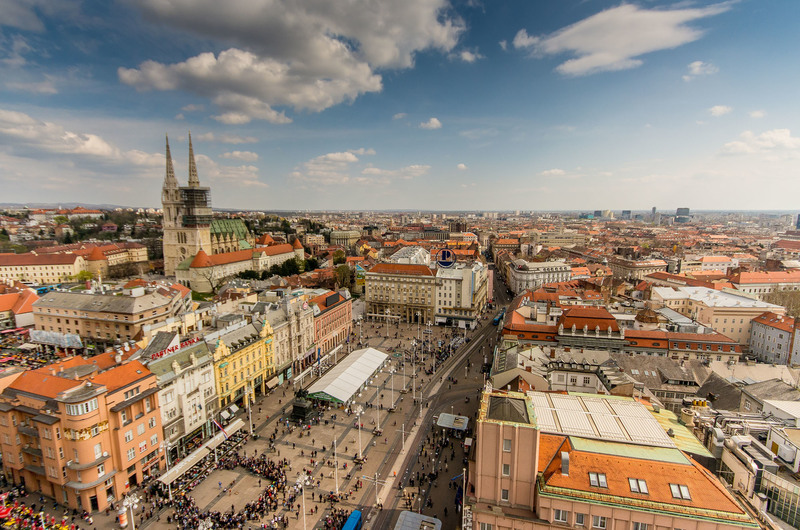 There are countless cultural things to do in Zagreb, and its compact size makes it easy for first time visitors to navigate. Attractions range from historic sights and fascinating galleries, complemented by destination restaurants, clusters of busy bars and numerous live music venues. 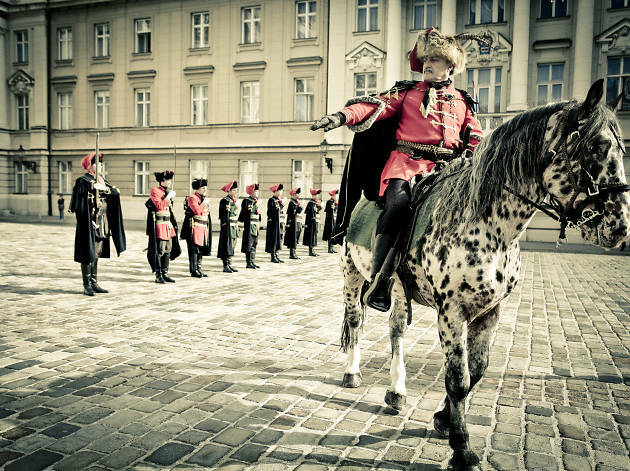 Discover the very best things to do in Zagreb with our list of unmissable activities. 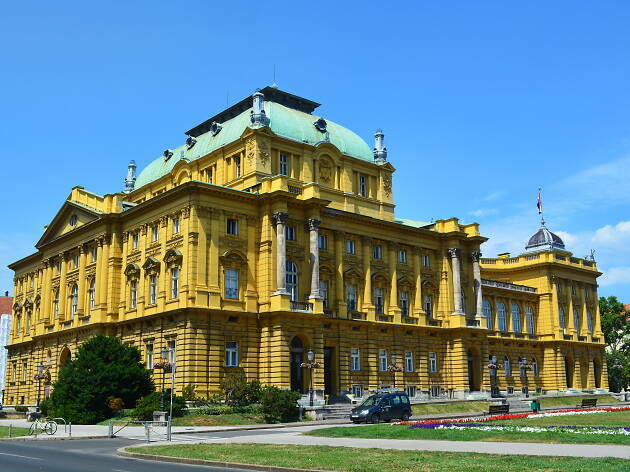 Croatia’s third-largest city with a population of 150,000, Rijeka has a busy port that handles ten million tonnes of cargo and a quarter of a million passengers, many heading to nearby resorts. 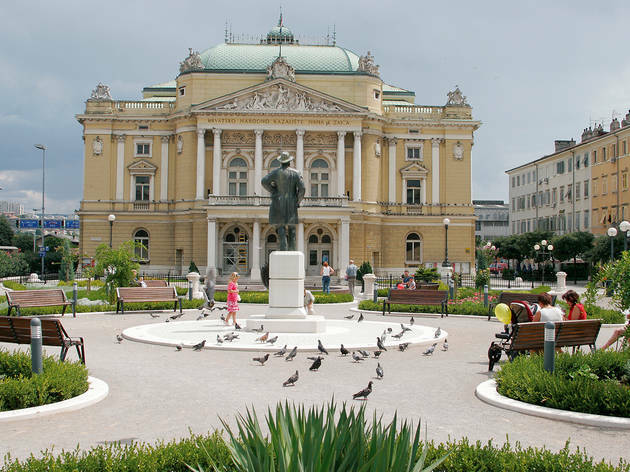 It’s a nice place for a week’s city break, during which you can enjoy Rijeka’s fascinating history, great restaurants and kicking year-round nightlife. 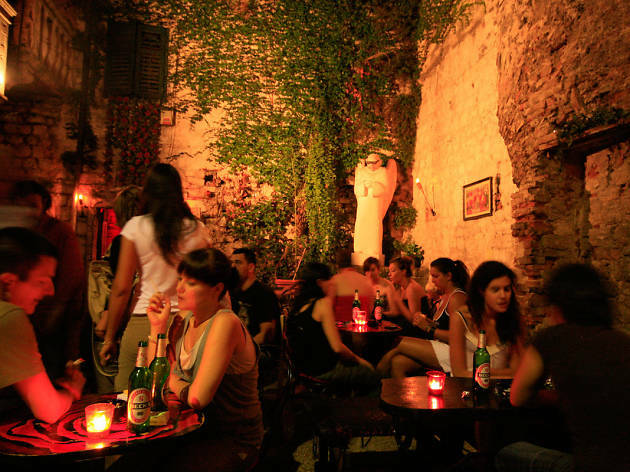 This is not a tourist-oriented city, which is part of its charm: in Rijeka, you will be dining, drinking and dancing with locals. RECOMMENDED: More great travel destinations in Croatia. Vis island has a special place in the hearts of many Croatians, who consider this a truly unspoiled example of the best of the Dalmatian coast. Its designation as a military base under Tito froze development for more than 40 years, allowing farming and fishing to remain the dominant activities. Now tourism is taking over this remote spot, one of the farthest islands from the mainland. 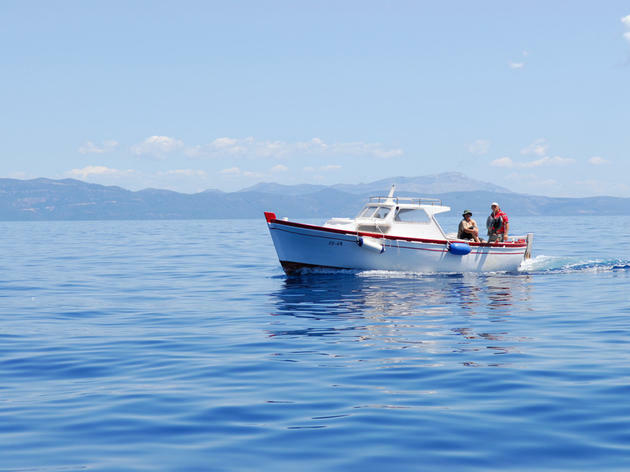 Vis has become a hot destination among those in the know who want a quiet getaway amid a gorgeous patch of clear sea, which provides great fish, swimming and diving. While the party scene here may not be as raucous as on Hvar, Vis island’s gastronomy can compare with any Dalmatian destination. RECOMMENDED: More great travel destinations in Croatia. 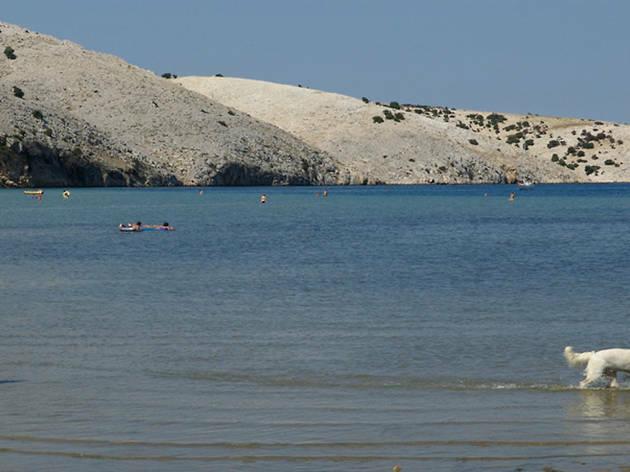 Pag is thin and 64 kilometres (40 miles) long, made up of two parallel mountain ranges. 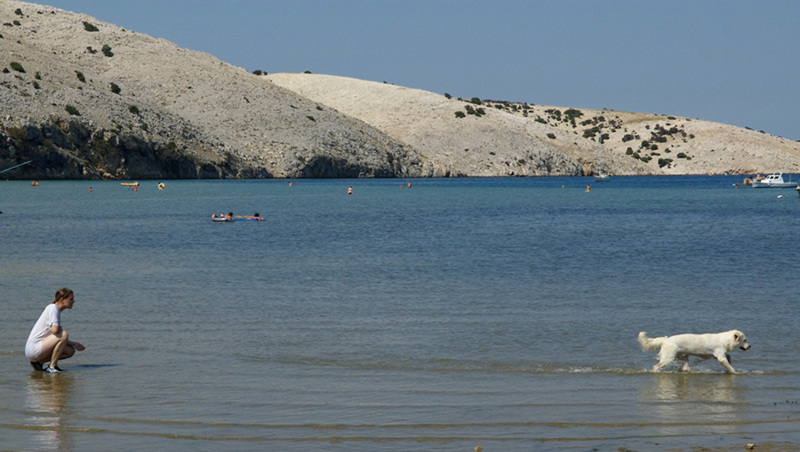 Settlements are mainly sleepy fishing villages, with two towns of any size, Novalja and Pag town. Novalja is a resort town that’s become party central. 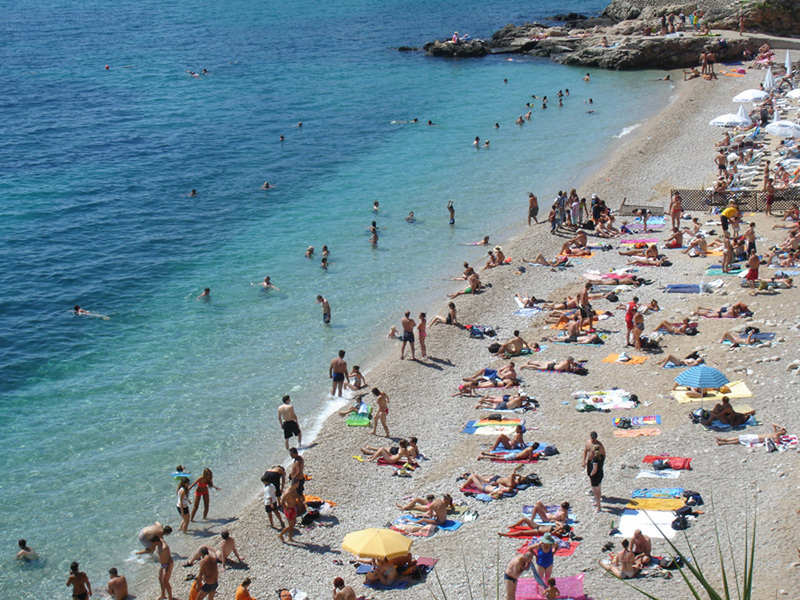 Zrće beach, a short bus ride away, is the biggest club hub in Croatia. 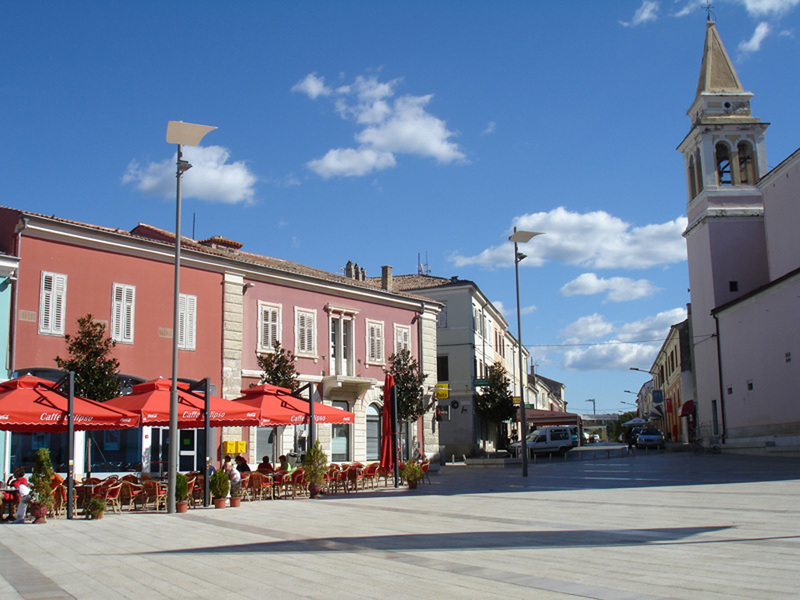 By contrast, the administrative and commercial centre of Pag town exudes cultural heritage. Narrow, fortified medieval streets weave beneath a 15th-century Gothic cathedral and the sun beats hard off the white stone pavement as local ladies painstakingly stitch Pag lace in doorways. 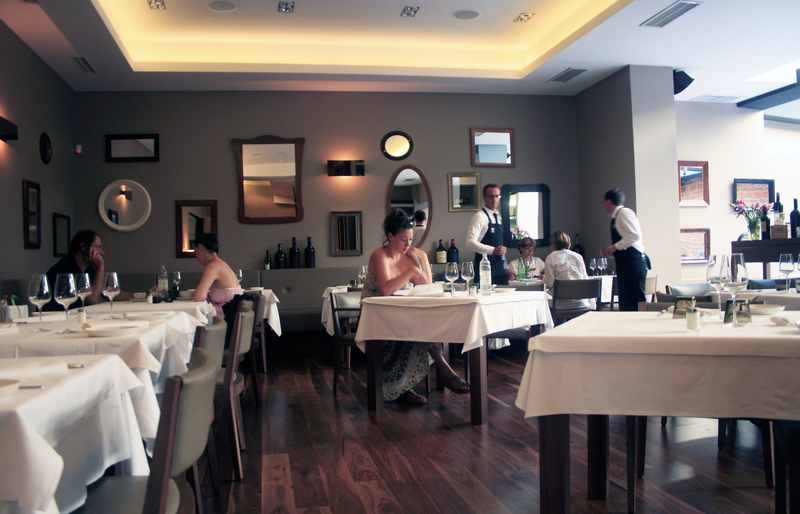 The flavours on the Pag dinner table are influenced by its arid, saline environment. Inhabited by more sheep than humans, Pag has lamb that is flavoured with the aromatic herbs that browsing sheep consume – as is the trademark Pag cheese. Fish tastes different too, a result of the particularly salty waters. 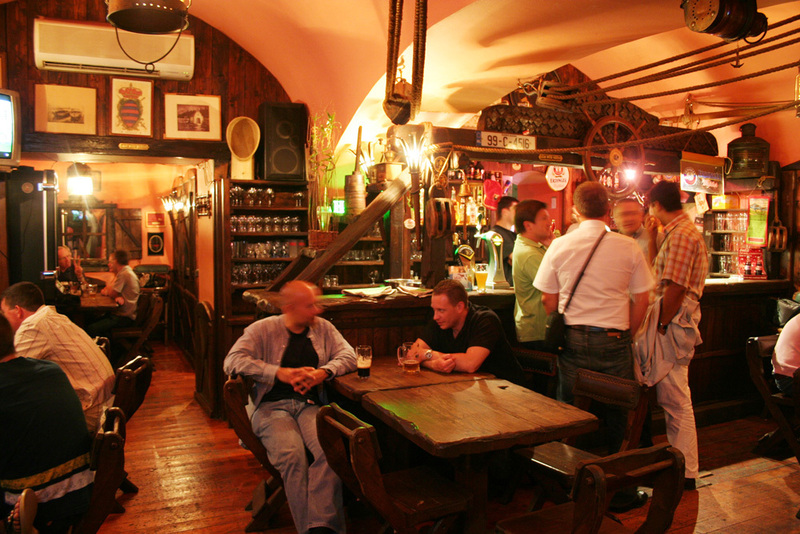 What with the local žutica dry white wine and the stiff digestif of travarica herb brandy, the Pag culinary experience is especially attractive to foodies. RECOMMENDED: More great travel destinations in Croatia. Verdant in the south-west, rocky in the north and east and rocking in the middle, Rab has a lot to offer. It’s known as both the greenest and busiest island in the Kvarner string. Families like the safely shallow, sandy beach in the northern peninsula of Lopar, while nature lovers and naturists hike to the wilder beaches there. Rab town, near the centre of the island, is a bustling tourist destination, with an interesting mix of busy bars and a historic Old Town. 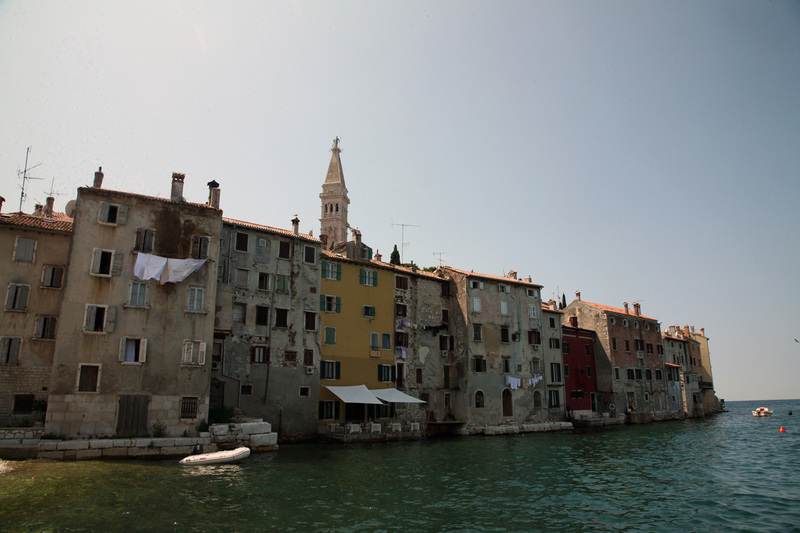 RECOMMENDED: More great travel destinations in Croatia. 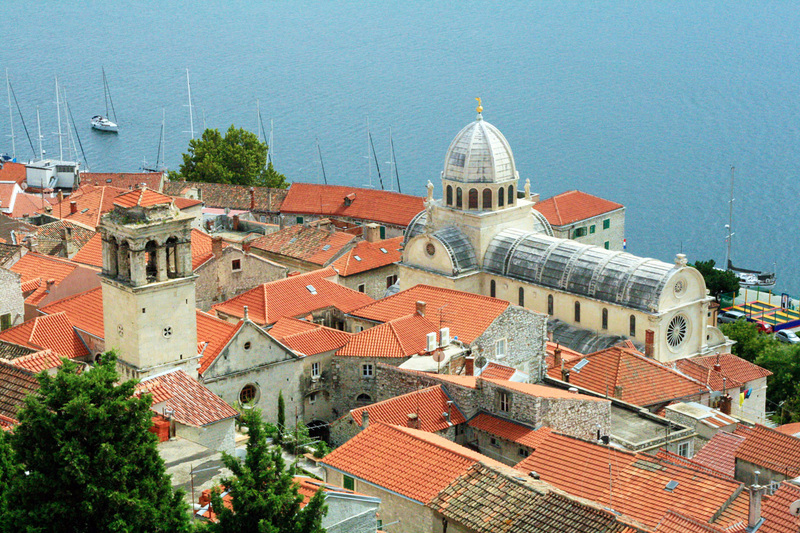 Outside of Dubrovnik, Hvar is the epicentre of the Dalmatian travel industry. Holidaymakers come to be around the yachts lining the harbour of the island’s namesake capital and among the revellers forking out more than top dollar (in Croatian terms) to party into the night. A massive overhaul of key hotels here, in the Sunčani Hvar chain, has been followed by a slower stage of development as the town comes to terms with its stardom. 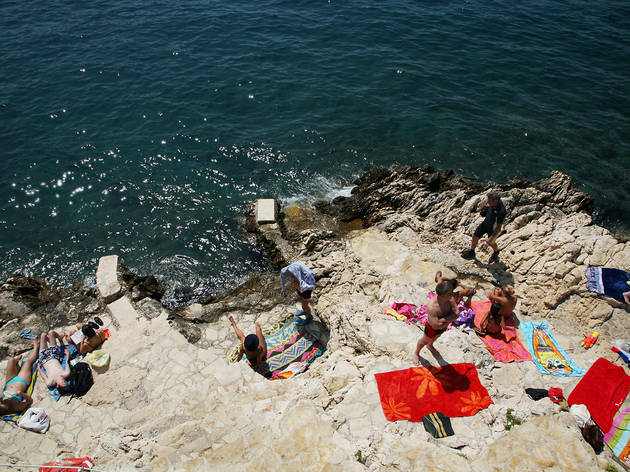 RECOMMENDED: More great travel destinations in Croatia. 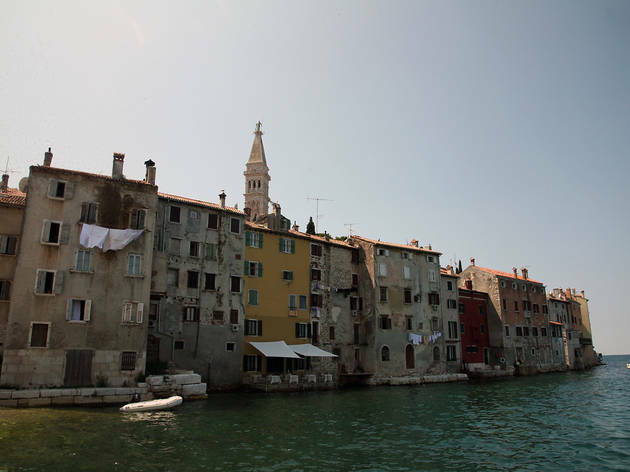 Rovinj is Istria’s showpiece, its answer to Dalmatia’s Dubrovnik, with far fewer crowds and a more realistic view of itself. 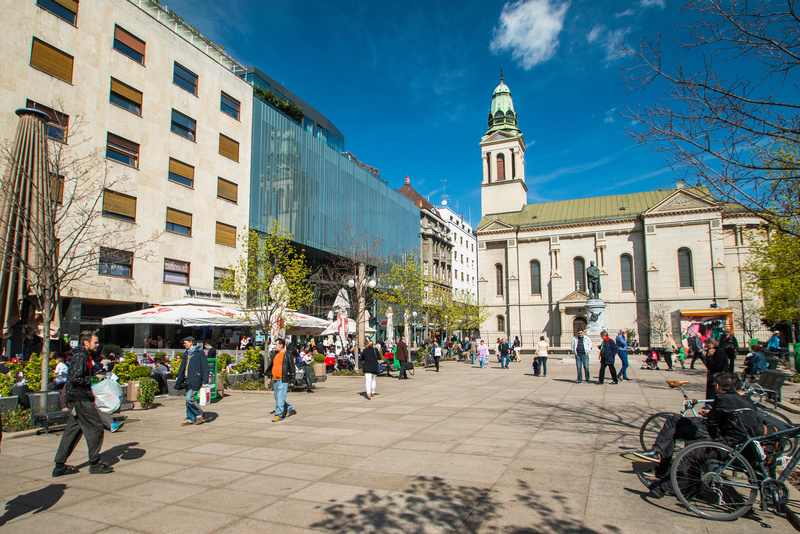 It maintains a meticulously cared-for old quarter and extensive tourist amenities without feeling fake or overdone. 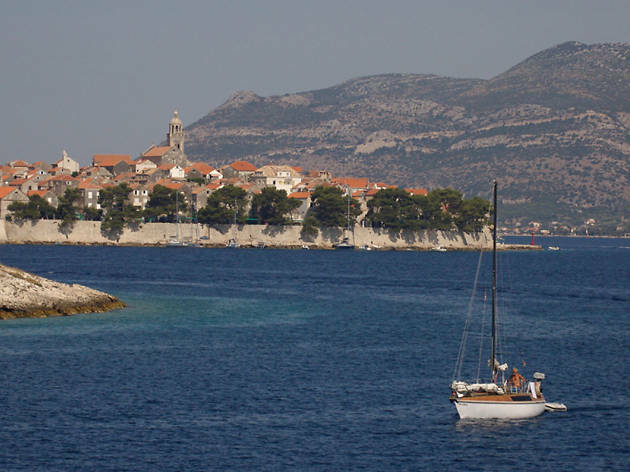 The natural setting is stunning: a harbour nicknamed ‘the cradle of the sea’ by ancient mariners because the archipelago of islands, stretching from here to Vrsar, ensured calm, untroubled waters. The man-made structures in the Old Town are also attractive: tightly clustered houses, painted in cheery Venetian reds and Habsburg pastels, connected by cobbled streets barely wider than a footpath. 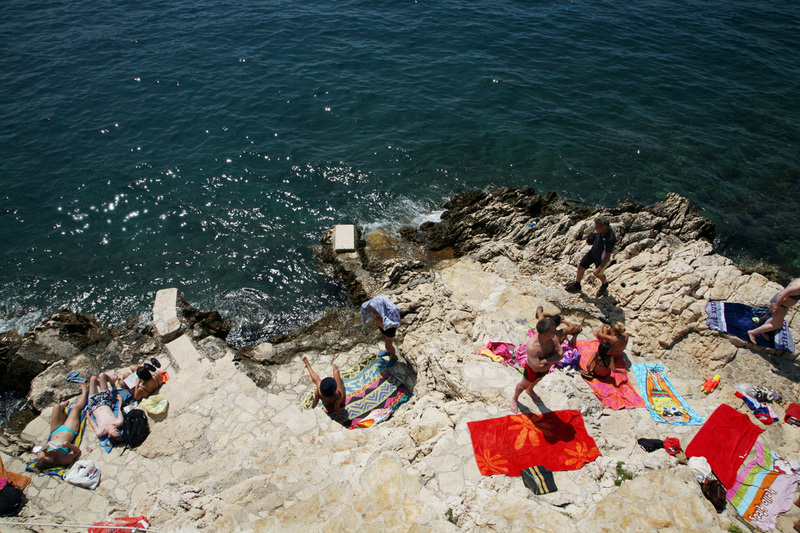 RECOMMENDED: More great travel destinations in Croatia. Croatia’s third-largest city with a population of 150,000, Rijeka has a busy port that handles ten million tonnes of cargo and a quarter of a million passengers, many heading to nearby resorts. 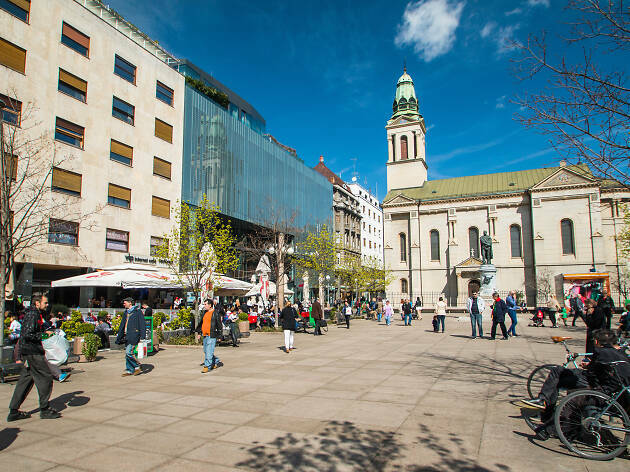 It’s a nice place for a week’s city break, during which you can enjoy Rijeka’s fascinating history, great restaurants and kicking year-round nightlife. 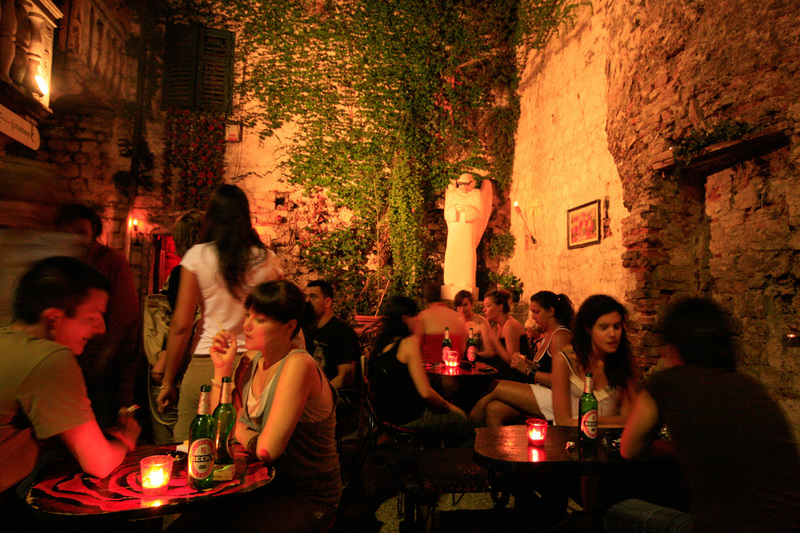 This is not a tourist-oriented city, which is part of its charm: in Rijeka you will be dining, drinking and dancing with locals. 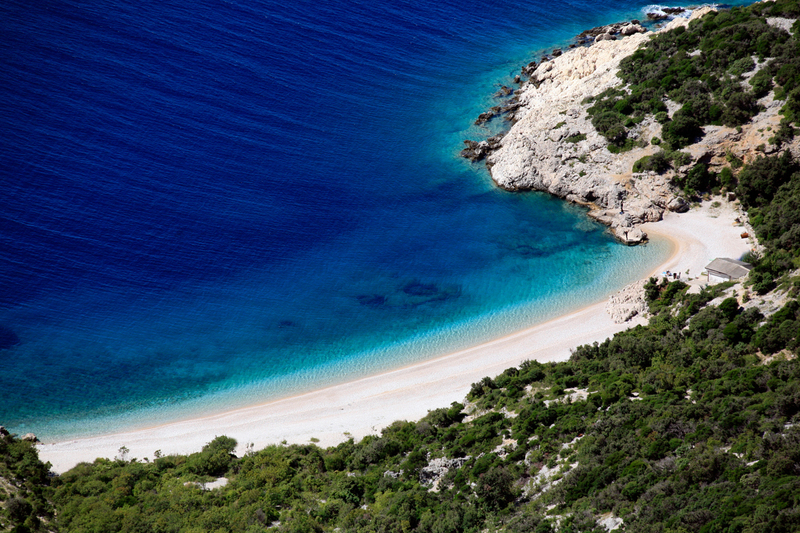 RECOMMENDED: More great travel destinations in Croatia. 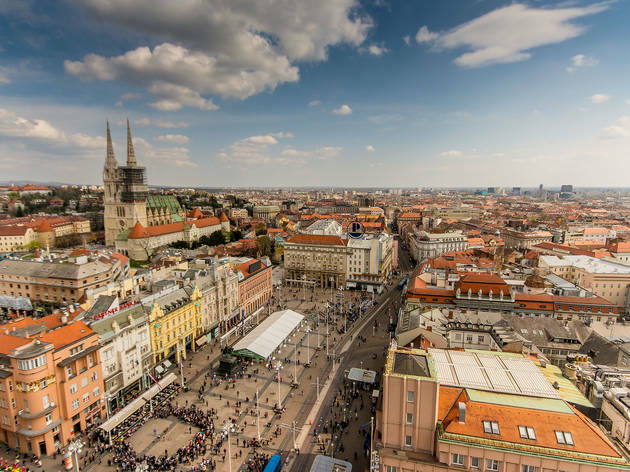 Compact and easy to navigate, Zagreb contains plenty of historic sights and fascinating galleries, complemented by destination restaurants, clusters of busy bars and numerous live-music venues. The main square divides the hilly Upper Town – museums, institutions of national importance, panoramic views – from the flat, grid-patterned streets of the Lower Town, with its gastronomic landmarks, designer boutiques and art galleries. 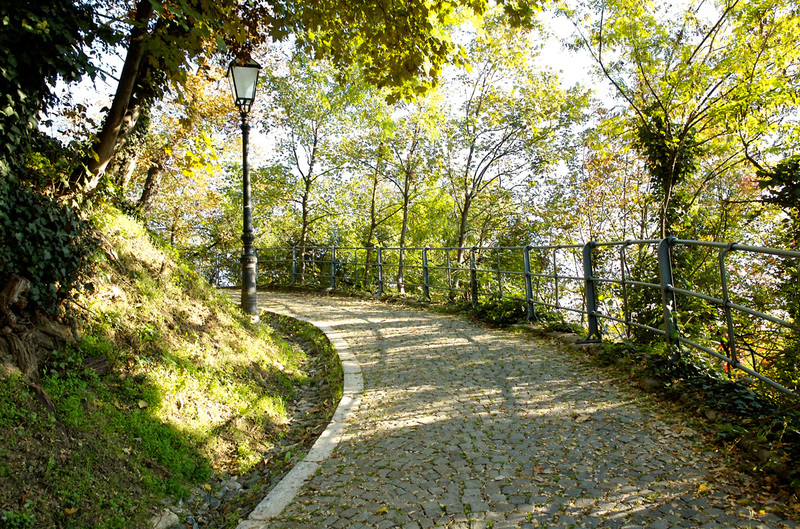 Spread out east and west are areas of bucolic greenery while south over the Sava river stretches the post-war residential blocks of Novi Zagreb. 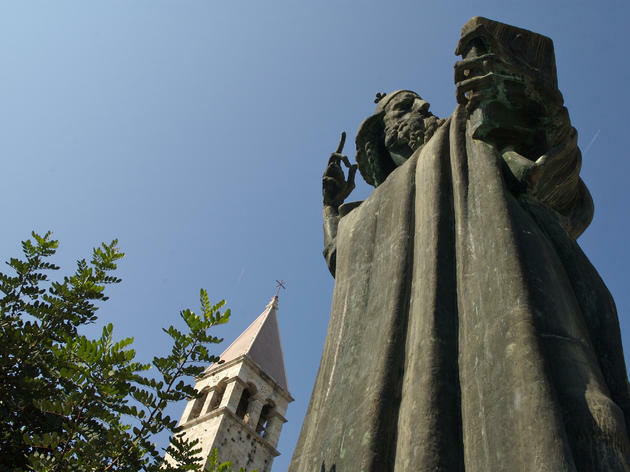 There are plenty of things to do in Split now that – thankfully – its days as a departure point to the nearby islands are gone. Brimming with recently opened high-quality bistros, antiquities aplenty and the best bar scene on the Adriatic coast, Croatia’s main ferry port is also the country’s most promising all-round city-break destination. Dubrovnik is a one-town tourist industry on its own, with endless things to do all year round. As stunning as the clear blue sea around it, the former centre of the independent Republic of Ragusa invites superlatives and attracts the lion's share of Croatia's visitors. 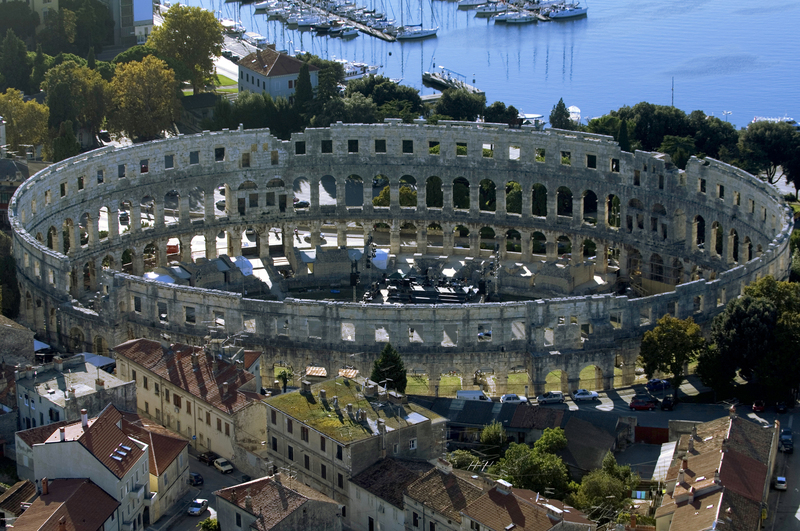 Pula is as urban as Istria gets. It is indisputably the region’s commercial centre, and is home to almost half its population. 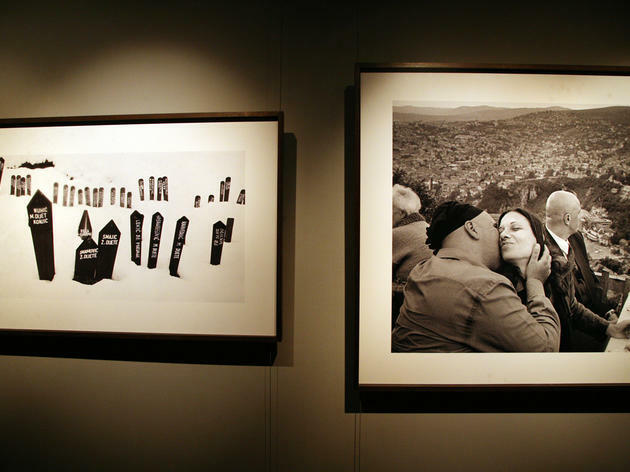 The city’s growing status as a happening focus of the arts has been enhanced thanks to two recently opened exhibition spaces: the spectacularly renovated former church of Sveta Srca; and the ramshackle but promising Museum of Contemporary Art of Istria. The Pula Film Festival in July continues to be the biggest show in town, although the city has been catapulted into the music festival premier league with the recent appearance of two major four-day events: Outlook (big names in dubstep and reggae) and Dimensions (the same but with some more cutting-edge DJs). What the town lacks in terms of attractive waterfront it more than makes up for in terms of antiquities. 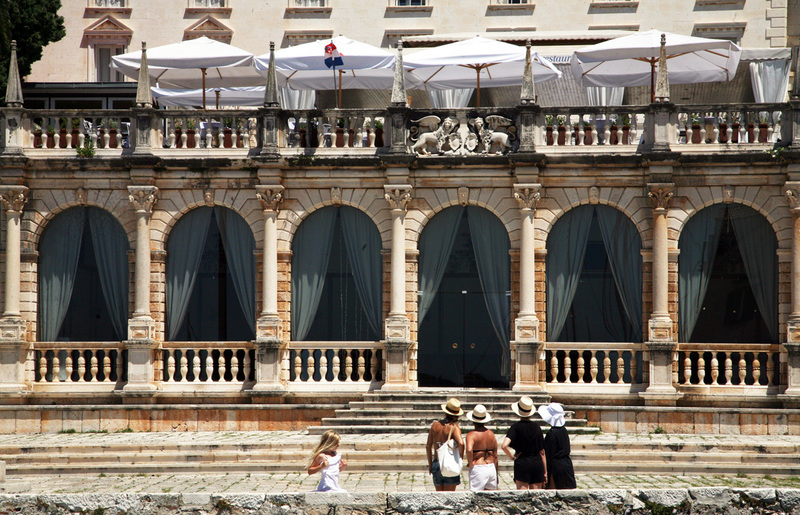 The original Roman Forum remains the major meeting point with cafés offering outdoor tables. 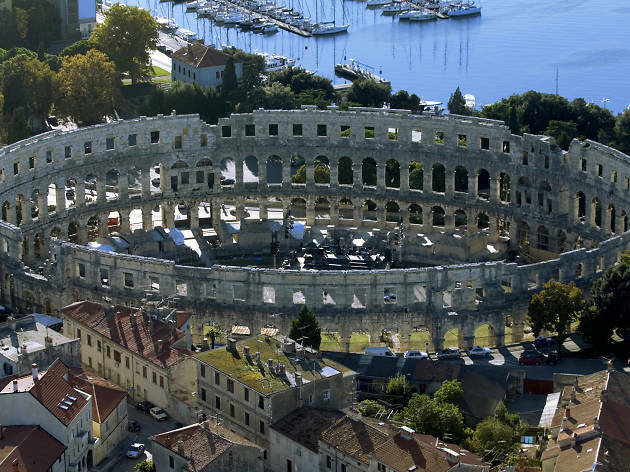 Pula’s impressive Roman amphitheatre, or Arena, hosts events all summer. The city’s sprawling waterfront includes a port handling close to one million tons of cargo every year, a marina for yachters, a forested stretch of beach with a promenade and, outside the centre, resorts, built in the 1960s and 1970s in Verudela and neighbouring Medulin. RECOMMENDED: More great travel destinations in Croatia. 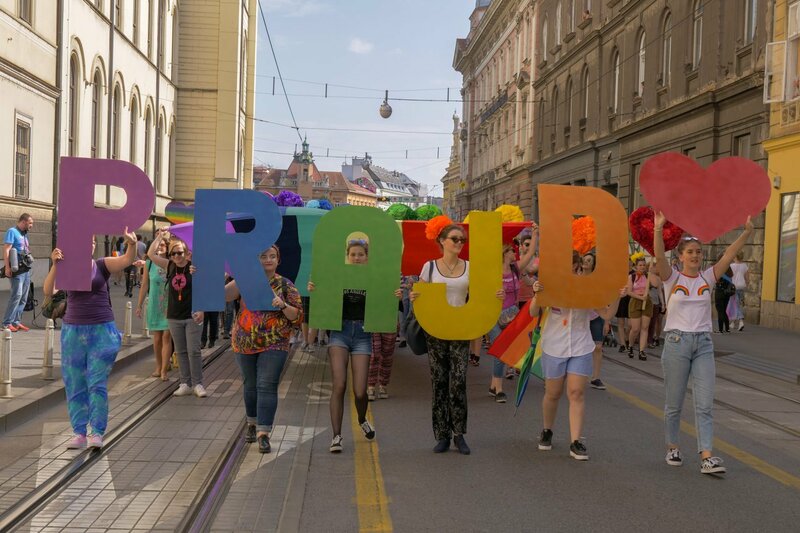 The rainbow flag doesn't flutter quite as brilliantly in Zagreb as in nearby European capitals, but that's not to say Croatia's capital hasn't got a characterful queer scene of its own. 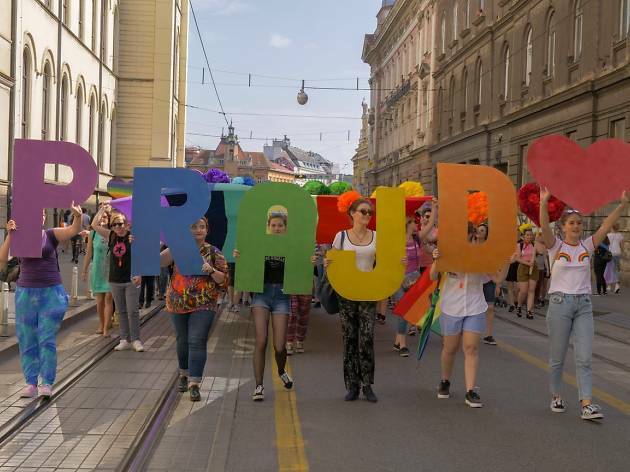 Although compact, a range of organisations and queer-friendly venues work hard to make sure the city's LGBT+ scene is as inclusive and buzzing as possible. 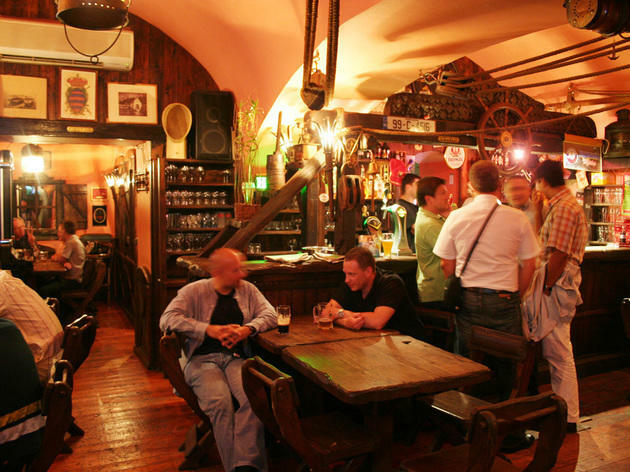 Read on for the best gay bars and queer spaces in Zagreb. 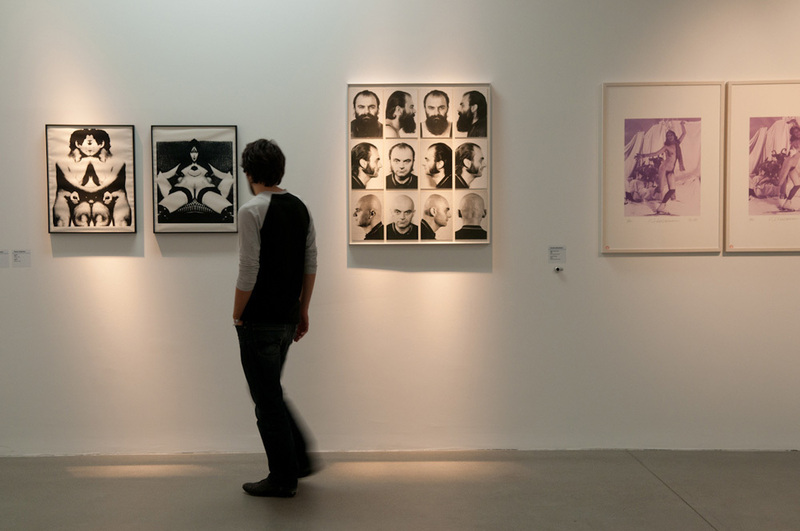 Zagreb’s many galleries come in many guises – passionate independent venues rub shoulders with venerable institutions. 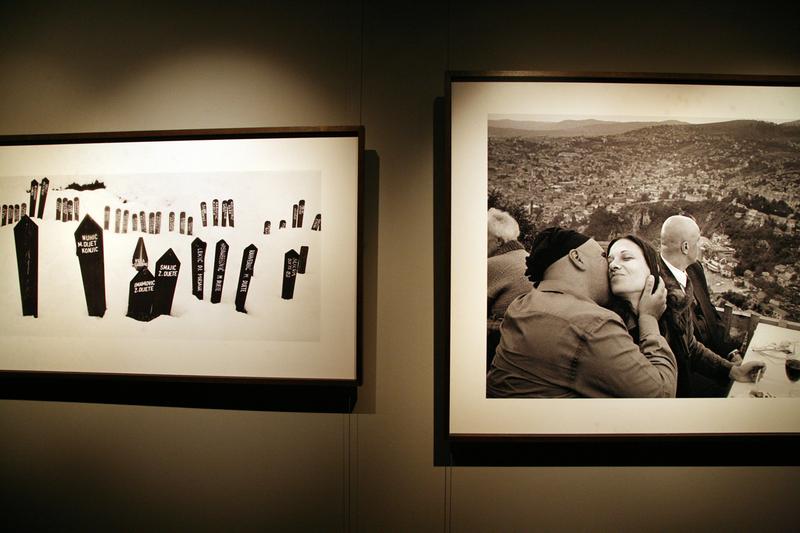 Consider this your essential Zagreb gallery guide. 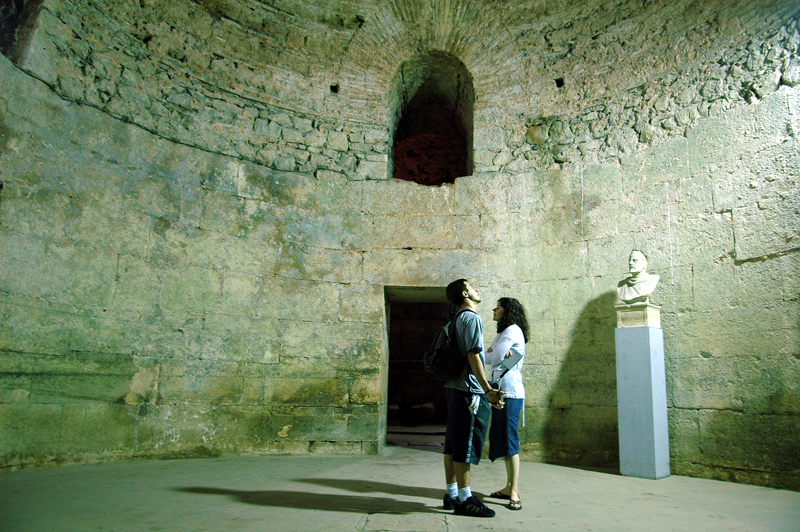 A bustling hub in Roman times, Split – which is built around an old Roman palace – is full of unique historic and artistic treasures. 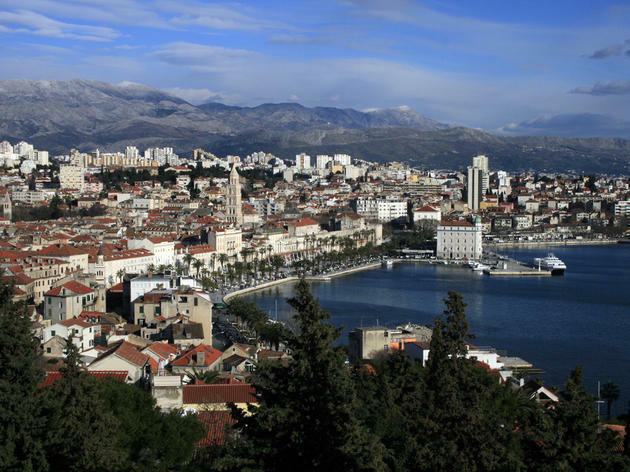 Split attractions include a number of museums and galleries that make the city a fascinating destination for art aficionados, historians and sightseers alike. Here's where to head. 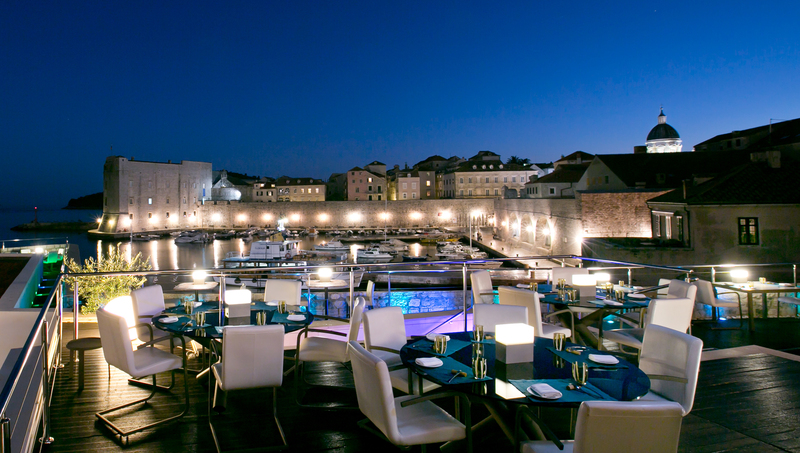 Dubrovnik is not all about luxury hotels and destination restaurants. 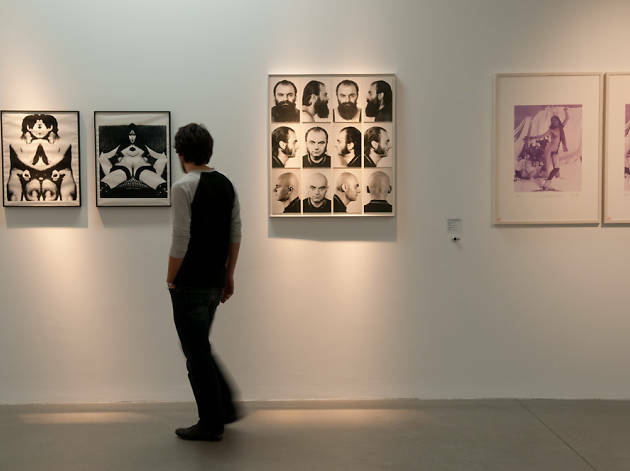 Step inside our Dubrovnik art gallery guide to discover where to catch some of Croatia's best modern and contemporary art, and coolest exhibition programmes. 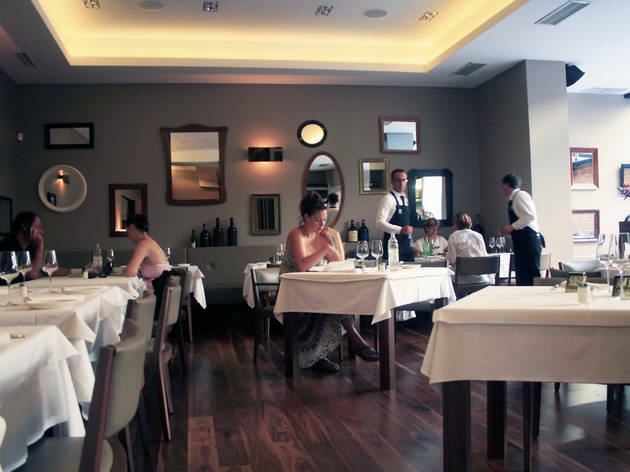 Dubrovnik restaurants are beginning to offer the culinary quality and variety that should be expected of such a luxury destination. 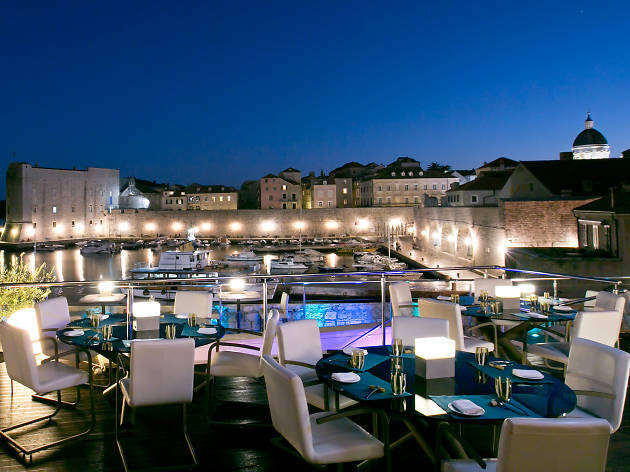 And dining in Dubrovnik needn't cost an arm and a leg: many places offers simple, wholesome dishes at wallet-friendly prices. 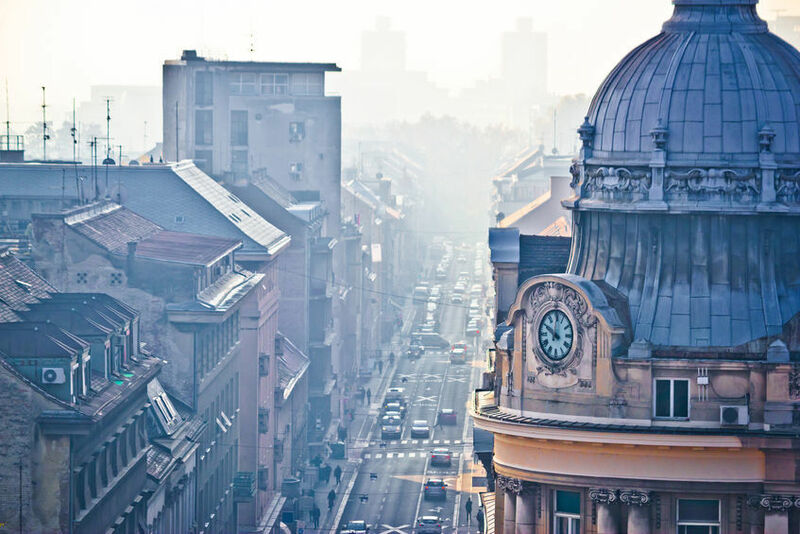 This ultimate guide to Zagreb restaurants covers it all: from top-level, splash-out fine dining to street food, traditional wholesome to high-end international, European bistro to east-west fusion. Get stuck in. The Split restaurant scene's culinary revolution is a recent phenomenon and one that's still booming. 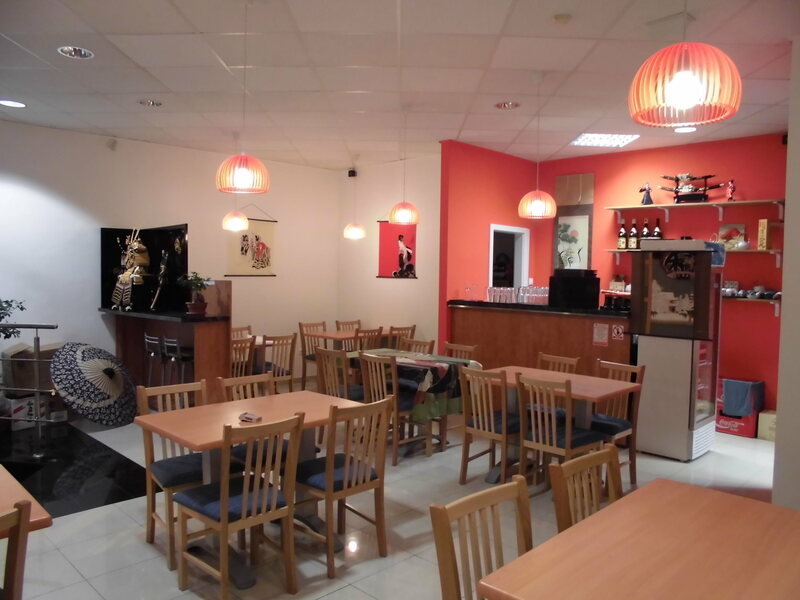 Decent and diverse eateries seem to be opening on an almost monthly basis, making Croatia's second city a gastronomic destination equal to almost any in the country. 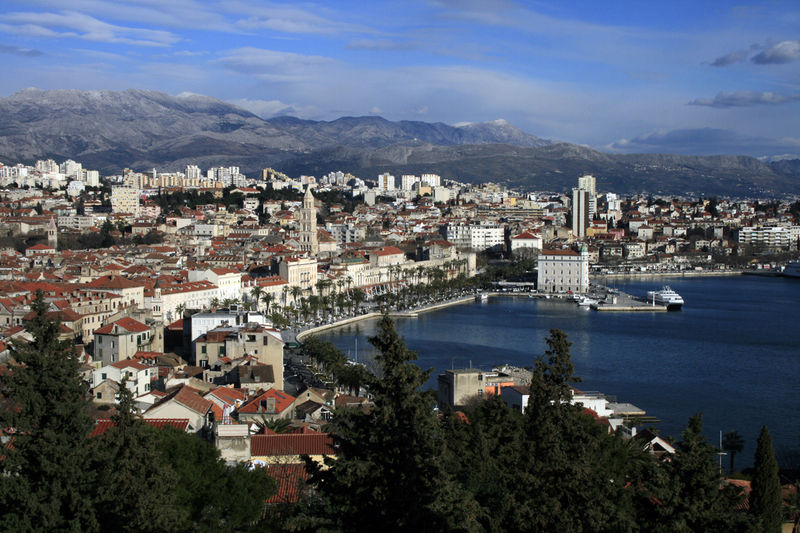 Split is not only a tourist playground – it's a living, breathing, dining-out city for locals too. 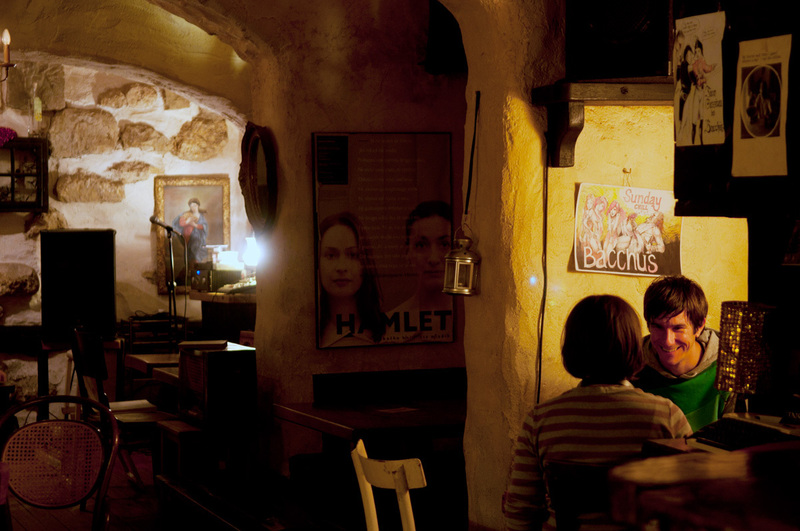 People in Croatia's capital city always give themselves time to linger and socialise over drinks. 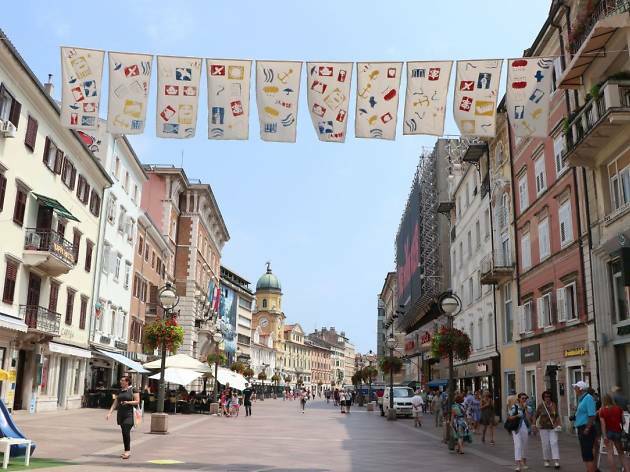 Whatever the time of year, new Zagreb bars are always raising and lowering their banners across the city centre and beyond, while traditional landmarks stay firm. Time Out's experts discover the best places to sip across town. By day, Dubrovnik and its overcrowded Old Town seem the perfect place for sandal-wearing coffee-sippers. 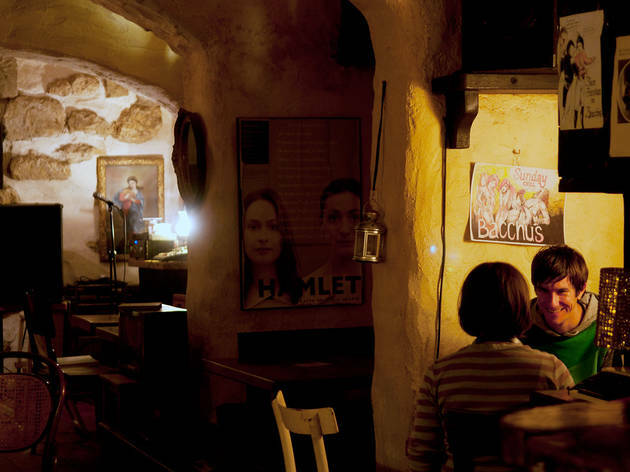 But by night, Dubrovnik bars spring to life, with a number of atmospheric spots serving up anything from fine Dalmatian wines to fancy cocktails. Dip in to our essential drinking guide. 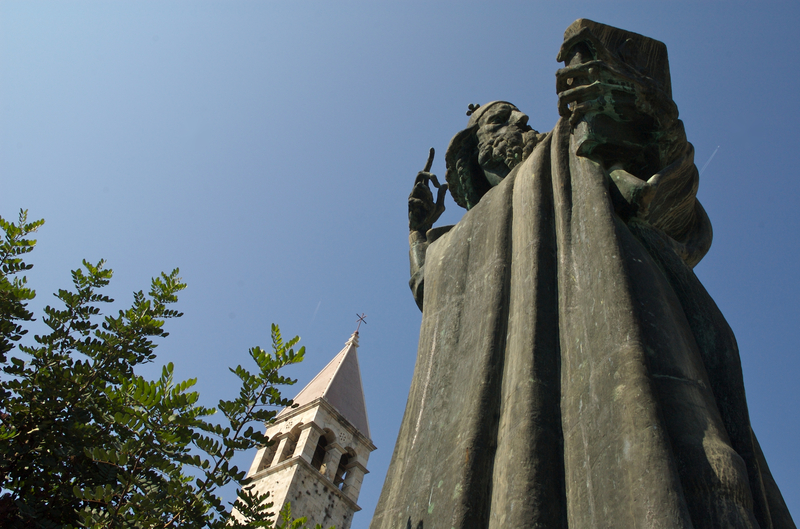 Poreč is something of a cross between Pula and Rovinj, although neither as street-smart nor as bohemian. It can be hard at first to recognise its true value. 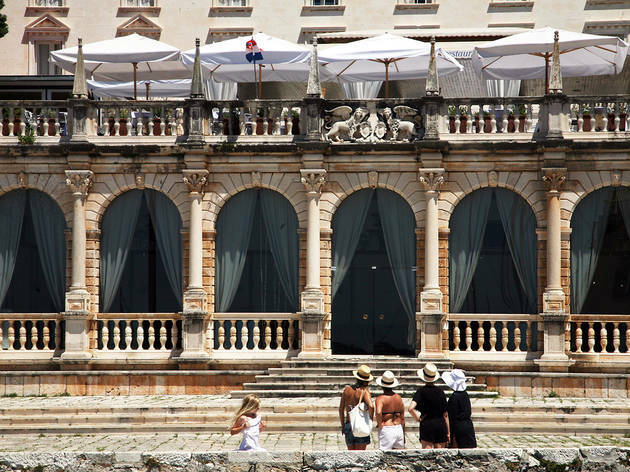 Hoards of visitors fill the treasured sixth-century Euphrasian Basilica, the ancient square built by Romans and the scores of restaurants, cafés and package hotels. RECOMMENDED: More great travel destinations in Croatia. 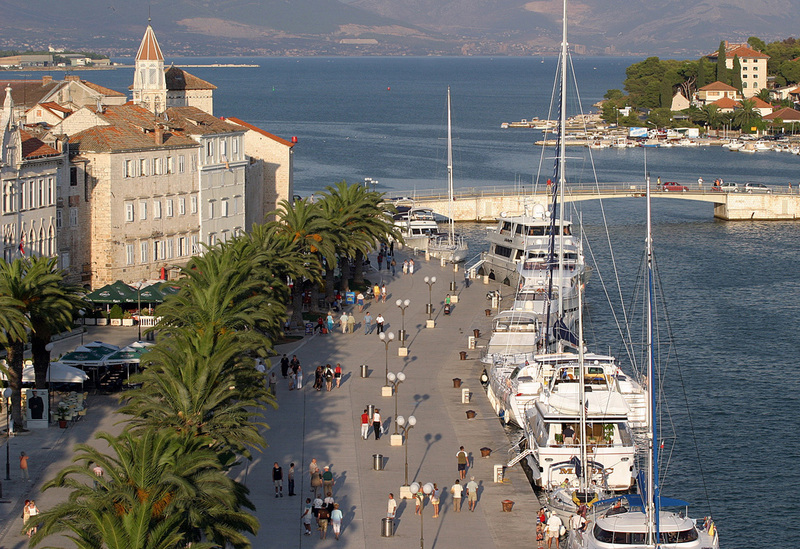 Trogir was first settled by Greeks from Vis in 300 BC. 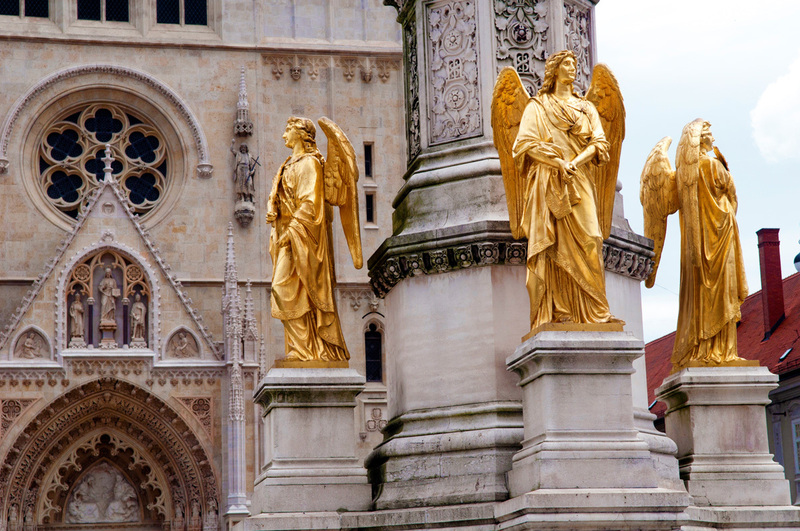 Listed as a UNESCO World Heritage Site, the Old Town reflects the influence of subsequent periods of Roman, Hungarian, Venetian, French and Austrian rule. 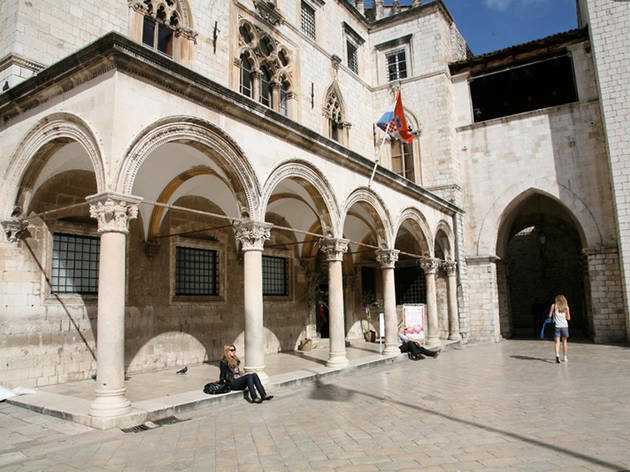 Its walled medieval centre is a warren of narrow cobbled streets, radiating from the cathedral square of Trg Ivana Pavla II, flanked by a wide seafront promenade, the Riva. In summer, the harbour wall is lined with luxury yachts and tripper boats, and the lively summer festival has entertainment on offer most evenings. RECOMMENDED: More great travel destinations in Croatia. Travelling to Brač is easy, yet despite being one of the closest islands to the mainland, less than an hour by ferry – and a prime candidate for the most popular – Brač lets you carouse with the hordes or get lost in solitude. In many ways, it’s Croatia’s ‘everyisland’. 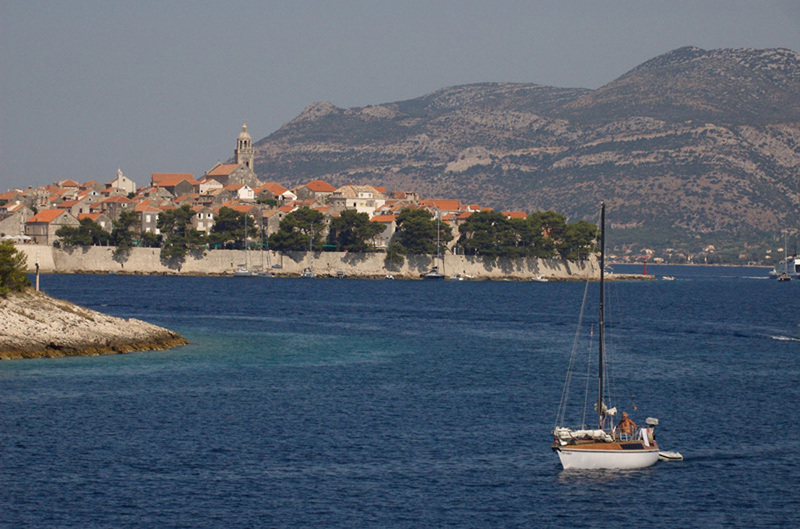 And, because Brač is so close to Split, you can do it in a day trip. 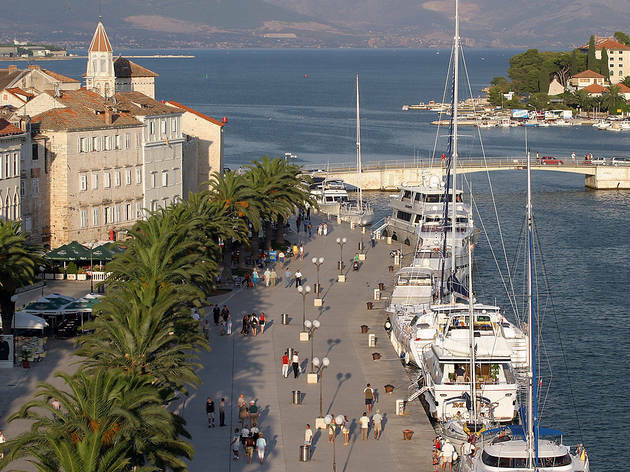 A ride in a bus or hire car from the northern entry port of Supetar – the other main tourist centre and family-friendly resort with sand-and-pebble beaches and package hotels – goes past pines, olive groves and marble quarries to the southern coast and Bol. When explored, Brač allows travellers to step off the tourist conveyor belt, take a break from the herd and gain a deeper sense of the island and its culture. RECOMMENDED: More great travel destinations in Croatia. As you travel to Korčula from the mainland nearby, the crowded little houses on the edge of the island seem to be pushing each other out of the way to see if you are friend or foe. Holding them in, stern medieval walls centrepieced by the slim belltower of St Mark’s Cathedral stand guard over the narrow Pelješac Channel, protecting the riches contained on the sixth largest island in the Croatian Adriatic. So lush with dark pine forests, vineyards and olive groves the ancient Greek settlers called it Korkyra Melaina (‘Black Corfu’), Korčula has managed to avoid the tourist trap tendencies of its original Greek namesake to the south. No longer fought over by Turk or Venetian, by French or Austrian, by Partisan or German, Korčula is one of Dalmatia’s most relaxing getaways. 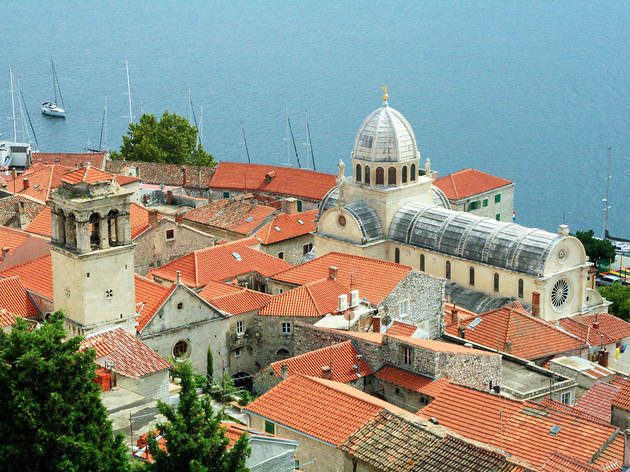 The main town of the same name, set on the north-eastern tip of the island opposite the Pelješac peninsula, has one of the best-preserved medieval centres in the Adriatic. Historic Korčula is therefore the most popular south-Dalmatian destination after the more crowded Dubrovnik, with which it is often compared. RECOMMENDED: More great travel destinations in Croatia. 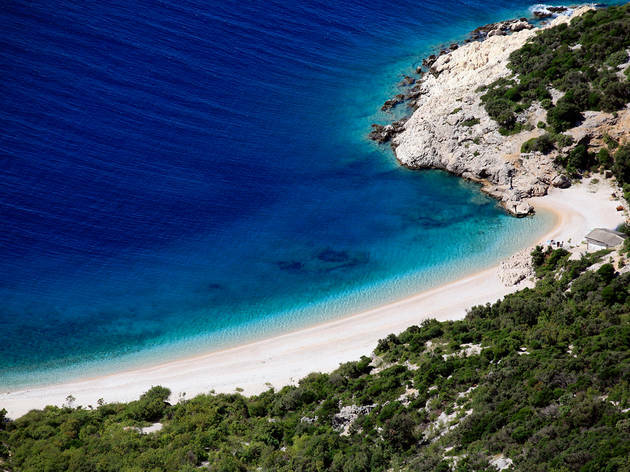 One of the largest but least developed of Croatia’s islands, the relatively untouched gem of Cres contains 400 square kilometres (155 square miles) of rugged wilderness, an estimated 80 breeding pairs of the rare griffon vultures and only 3,000 full-time human residents. There are a couple of resort settlements, but not much else in the way of luxury vacations. For more sophistication, take a room in ancient Cres town; for wilderness, get a campsite in the hills. 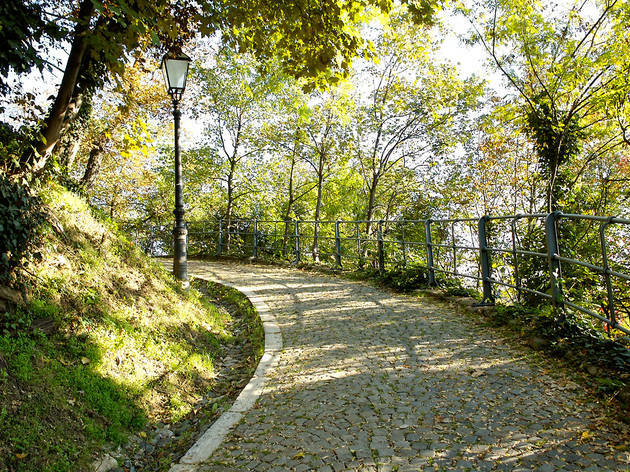 Either way, you can expect a simpler and quieter time than at many of Kvarner’s other resorts. RECOMMENDED: More great travel destinations in Croatia. After a long period of playing second fiddle to more glamorous neighbours Split and Zadar, Šibenik is swiftly turning into Dalmatia’s surprise package. 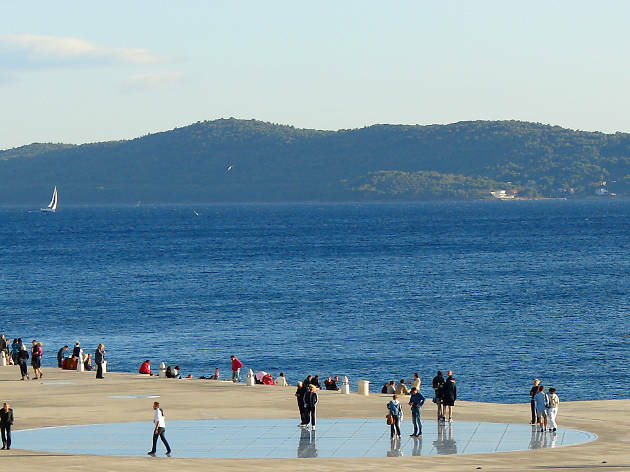 Like Zadar, Šibenik suffered a hammering in the 1991-95 war and is still recovering but change is evident. The industrial suburbs, a reminder of its past and significance as a port, camouflage a delightful Old Town. Alleyways and stone steps threaten to lead nowhere but are full of surprises; historic churches and atmospheric squares are tucked around almost every corner, and the golden globe atop the unmissable Cathedral of St James pops up in the distance when least expected. 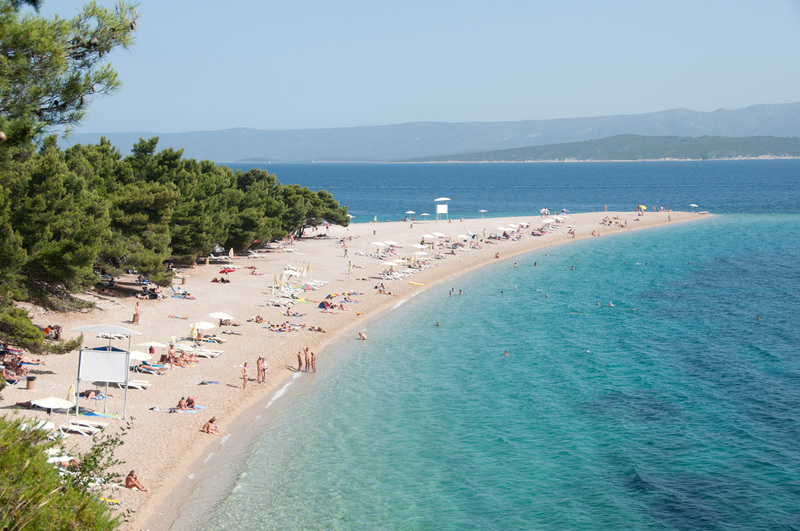 RECOMMENDED: More great travel destinations in Croatia.